It’s time! I’ll be jetting off to Japan for 2 weeks - you can follow my adventures on Instagram @thetimeoptimist_ or Snapchat lieupieu! I usually pack light when it comes to shoes and clothing but this time I had to go that extra mile to save room for all the Pokemon merchandise. I scoped out the Spring time weather for Kyoto, Osaka, and Tokyo and it’s looking balmy, slightly humid, with scattered showers. I’ll be doing a bit of hiking too so I’m expecting winds. 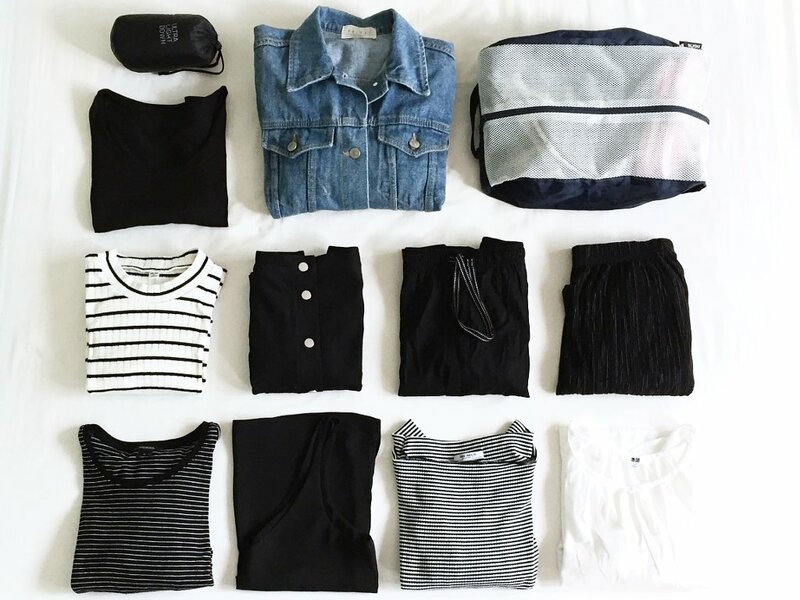 With that in mind, I whittled down my packing list to the following and yes, I have a thing for stripes. 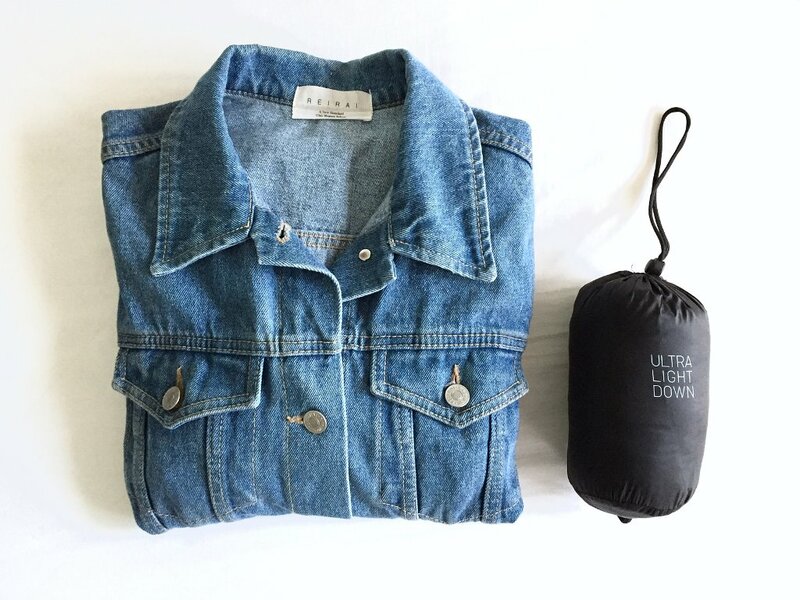 An oversized denim jacket goes with everything and a light packable down jacket is perfect for mild Spring evenings or as a jacket liner for windier climbs. 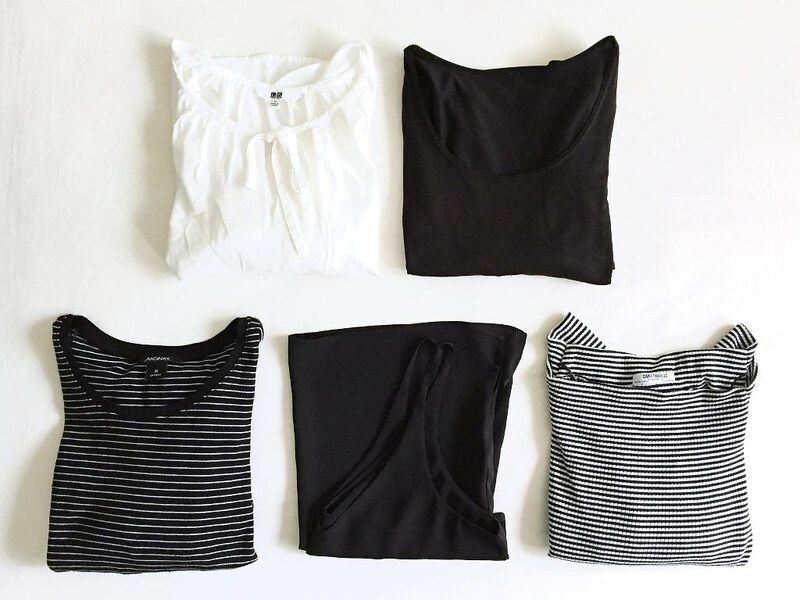 I stuck with thin black/white tops that transition nicely from day to night. 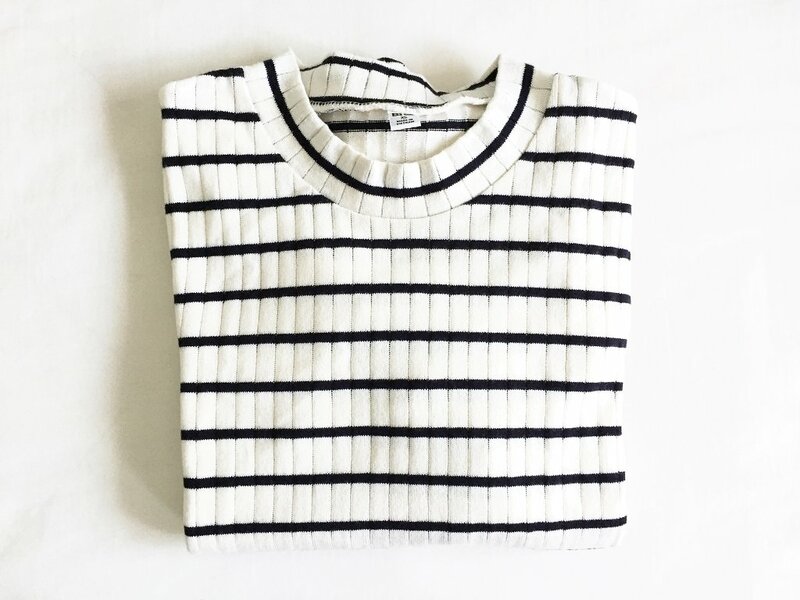 A loose fitting white peasant long sleeve top, casual fit striped crew neck long sleeve top, and a ribbed striped boat neck long sleeve top. 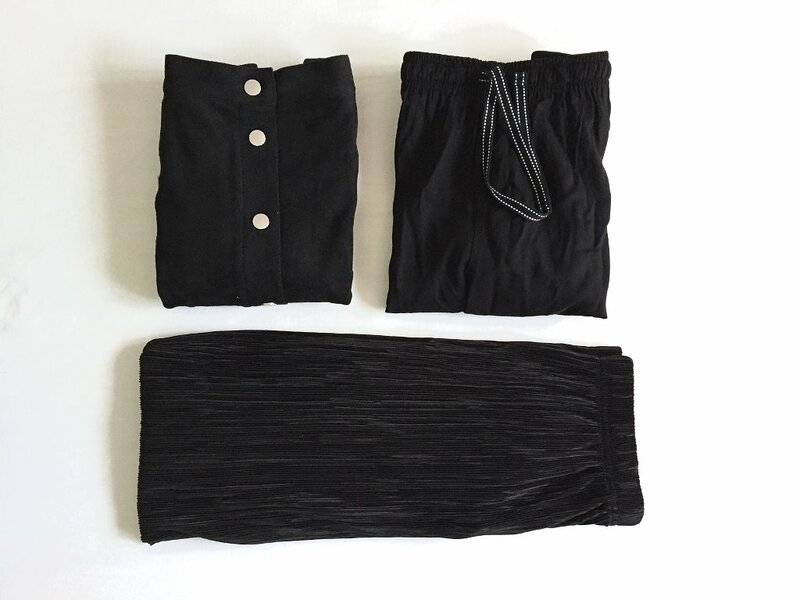 The v-neck camisole will be a great layering piece for the day and dressier top for the night. The scoop neck long sleeve top doubles as innerwear for the plane journey and a going-out top. Chucked in a loose fitting striped mock neck dress for any occassion. I’ll have to leave behind my beloved mom jeans and live in plisse wide leg trousers and wide leg cropped trousers instead. Throwing in a button down skirt for when the humidity is too much. Tucked away in the shoe bag is a pair of canvas shoes with a thick rubber sole for exploring cities come rain or shine, hiking shoes for day treks, and flat chelsea boots for the evening. And now back to some last minute research - any tips for a first-timer in Japan?